On the DL Deals Store, you can grab a set of Jarv Nmotion PRO Bluetooth Eardbuds for $30, regularly priced at $70. Featuring APTX technology for “seamless streaming” of CD quality audio from any Bluetooth device, this ultra-light headset will offer up to 6 hours of playtime on each charge. 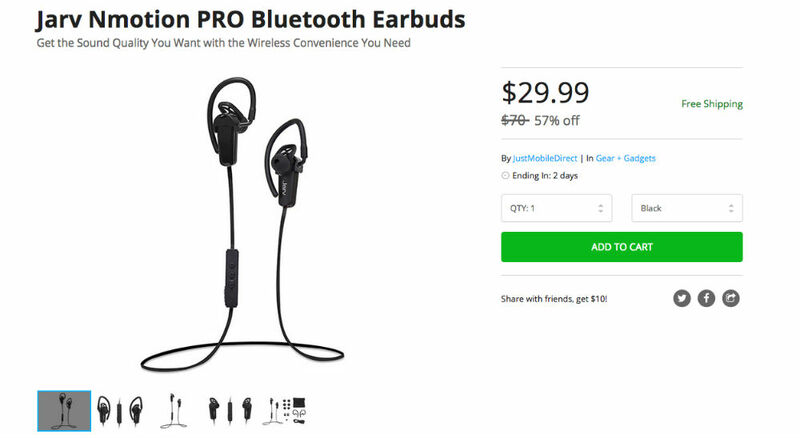 The headset also features low power consumption, improved connectivity, a secure fit for walking/running, and holds a Bluetooth connection from up to 33-ft away. Follow the link down below to pick them up.